First off, I'd like to thank you for all your instructional videos and reviews. They've helped me so so much and have got me making more origami than I could ever imagine! What kind of paper would you recommend for this book? 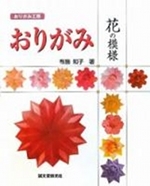 I noticed that Tomoko Fuse uses some beautiful paper with patterns, but I can't seem to tell what type it is. Thanks!